THIS is why my wife is such a good photographer. I mean, who would have thought to get a shot like this at a wedding. But I think it’s hysterical. If you like it, be sure to check out her other shots from the wedding, too. Due to some family qualms about these images, they have been taken down. Some people just can’t take a joke. Update 6/26: here are the pictures again. Long story. that is a freakin’ great shot – nice job Shari! Their was one photo she took that I thought was amazing! Now trying to think which one you had posted here! Tom, here is one of the two pictures plus a couple of new ones. 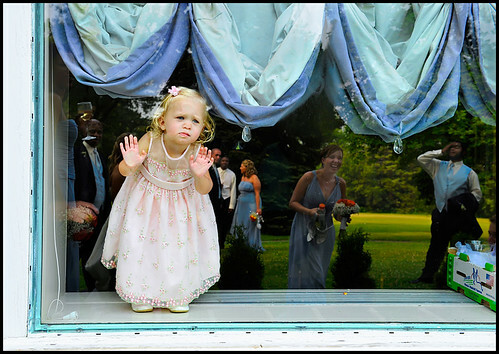 The one with the little girl you posted is without a doubt the cutest wedding shot ever taken! I love the faces in the reflection! Glad you posted them again!